Today, we live in the environment, which is extremely challenging. Our organizations fight for its place on the market; the sales volumes are not developing optimistically, and the consumer is spending less. The consumer demands the excellent customer service. The issues facing organizations are extremely challenging. The personal goals of employees have to follow them. The competitive organization is able to set realistic, and challenging goals for its managers and employees. It has no other option; otherwise the competitive advantage is lost. The role of HR is in steering the goal setting process, as the goals are internally equitable, challenging and focused on building the sustainable competitive advantage. The weak goals do not lead to building the competitive advantage; they do not make employees more satisfied. The organization has to be focused on the high performance of employees today. The pressure from the emerging markets is too high. The focus on products and services with the high value-added is essential. Employees have to be highly skilled, and their skills and competencies have to be used to limits. The organization setting weak goals loses its position on the market. The competitors wait for each failure or decrease of the performance. The weak performance of the company has a devastating effect on motivation of employees. The pressure for performance does not mean, that employees are pushed to do things the same way. The pressure has to be aimed to unblock their creativity and innovation. The employees can find creative and simpler ways to do things, if they are allowed to do so. They should not feel the pressure as the exploitation. Employee receiving challenging goals should be given the necessary help. The manager has to help to unblock any obstacles. The high performance is always the goal number 1. The challenging goals have to be achievable. It is not possible to ask for the increased performance without providing any help, guidance or resources. The challenging goals motivate employees; unrealistic goals devastate motivation. It is a straightforward HR rule. The manager has to sure, that goals and targets can be achieved. Many HR Professionals believe that goals have to be connected with the variable pay. The bonus is a neat extra for many employees, but the recognition in the organization can play the same role. 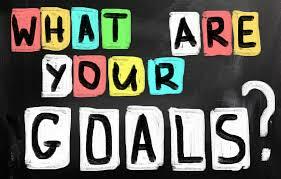 The challenging goals resulting in the promotion or the personal development are better for the employee and the organization. The goals should focus employees on doing thing differently or on doing different things. They are the strongest weapons against the competition on the market; managers have to mobilize employees to fight. Innovations are the most precious results; organization has to support employees in finding different, smart ways of doing the necessary stuff. Employees are overloaded by the repetitive stuff; each development and improvement should be noticed and rewarded. The environment without challenging goals does not support innovations and improvements. The weak goals do not increase the employee satisfaction. Employees are not satisfied. They recognize the weakness of goals and they start being worried about the future of the company. The best employees start to leave the company as their potential is not fully utilized. People prefer being stretched than being useless part of the organization. The organization with weak goals can exist for a long time, but it does not deliver any significant improvement and can lose its position on the market. The best job applicants do not apply for a job with the organization losing its potential. Each organization has to focus on designing the efficient goal setting process. It has to elaborate the best approach to assess goals as they are challenging, but they are still realistic. It has to find a way how to transform the business strategy into challenging goals. It has to invent the way how to allow employees reduce the non-value-added part of the job.